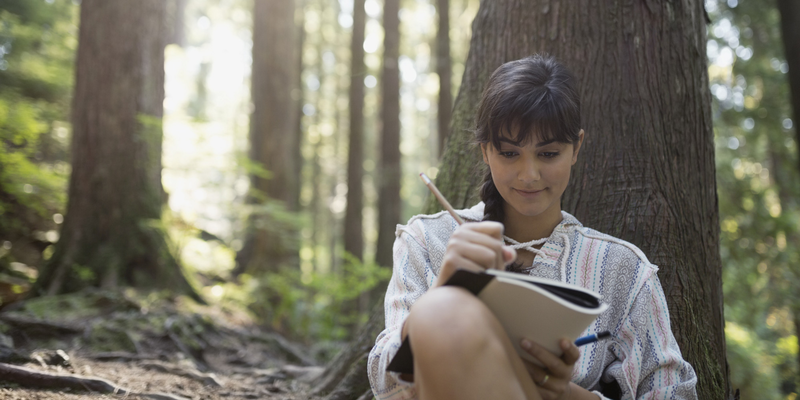 Journaling takes dedication, something that doesn’t come with ease. Anything that requires prolonged focus is something I find hard. I’m very much a “what makes me feel good” in the moment type of person. At the same time I spend hours wondering about what I should do and what I should’ve done, forcing me out of the present. It’s crazy, I know. I recently looked back at some old journals and realized, that I keep saying I’m going to achieve something and fail to do so. I went as far back as to junior year of high school and the same things I wanted then I want now. Yet, I haven’t taken much action in pursuing those dreams. So I simplified journaling a bit just so I can stick to it. I want to be able to look back and see growth, instead of feeling failure. The goal is to keep moving forward, so I can feel proud of myself. Journaling happens at the end of the day. All I do is write the date and answer these 13 questions. So far, so very good. I’m living each day to the fullest, and feel like I’m growing as a human being. Take a look for yourself, apply it to your life and see where it takes you. 1.) What are you grateful for? 2.) How have you given back? It can be as simple as helping out a friend, or making time for someone to unload about their day. It’s nice, to be nice. 3.) One thing you learned. A huge part in growing, is taking away one thing you didn’t know before. 4.) What did you do today to become one step closer to your dream? If you have a dream, you should work everyday towards that dream. We don’t know how much time we have, so don’t waste it. 5.) One risk you took today. 6.) One thing you read. 7.) How have you loved yourself? This is super important! You need to take time to appreciate yourself, even if it is as small as saying “you’re awesome.” People treat you the way you treat yourself. Think about it. 8. )Where did you find beauty? I’m a firm believer that there is beauty in everything and if you can’t see it, then your ignorance is preventing you from doing so. 9.) Where did you find absurdity? People take life way to seriously, and create unnecessary stress. Learn to laugh at yourself. We are all going to die. Don’t waste time being pissed. 10.) Were you true to yourself? Well were you? If you don’t stick to your values and aren’t proud of your choices it will seep out into every inch of you world. You want your world to be filled with awesomeness, not muddied with self doubt or self loathing. You’re stuck with yourself for life, so make that person cool. 11.) What did you create? I ask myself this because I’m an artist. If I don’t take the time to write, act, sing, dance, create than it’s almost as if I ignored a certain part of myself. However, I think this can apply to people that don’t consider themselves artists. Being creative can be as simple as trying something new. 12.) How did you fail? You can’t win all the time, but those failures will teach you something. 13.) How did you win? Feeling great is amazing. Don’t short yourself on a goal you accomplished. It takes effort, so be proud. The most tightly wound hippie you will ever meet.